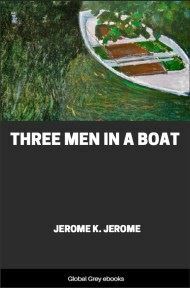 Three Men in a Boat (To Say Nothing of the Dog), published in 1889, is a humorous account by English writer Jerome K. Jerome of a boating holiday on the Thames between Kingston and Oxford. 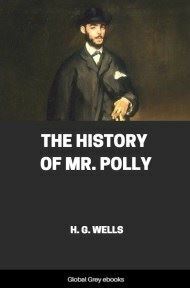 The book was initially intended to be a serious travel guide, with accounts of local history along the route, but the humorous elements took over to the point where the serious and somewhat sentimental passages seem a distraction to the comic novel. One of the most praised things about Three Men in a Boat is how undated it appears to modern readers – the jokes seem fresh and witty even today. 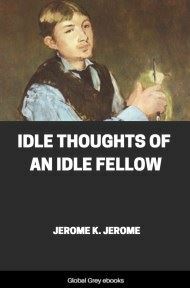 The three men are based on Jerome himself (the narrator J.) and two real-life friends, George Wingrave and Carl Hentschel (called Harris in the book), with whom J. often took boating trips. The dog, Montmorency, is entirely fictional. I went to my medical man. 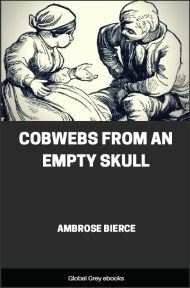 He is an old chum of mine, and feels my pulse, and looks at my tongue, and talks about the weather, all for nothing, when I fancy I’m ill; so I thought I would do him a good turn by going to him now. “What a doctor wants,” I said, “is practice. He shall have me.